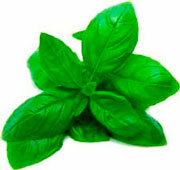 Tulsi Basil is one of the most sacred plants in India, symbolising the Goddess Lakshmi, the wife of Vishnu. The herb has been valued for centuries for its properties for the mind, body and soul. Blending it with Ginger which is used for balancing Kapha and Pitta doshas can help promote relaxation and digestion. Tusli is also used in relaxation and anti anxiety remedies, helping the body to function during times of stress. Ingredients- Dried Tulsi Holy Basil and Ginger Root. Tasting Notes- Fresh and aromatic notes of basil, mint, cardamom with a hint of spice. Colour in Cup- An amber liquor. Pack sizes available- 50g, 125g, 250g. ( We pack everything fresh to order, nothing is off the shelf ! ). We pack all our teas in a unique material which combines card and foil, regarded as the best for retaining freshness and quality. Storage- In an airtight container away from strong odours and direct sunlight. Health Benefits- Tulsi Has been used for thousands of years in Ayurvedic medicine for its healing properties; for common colds, headaches, stomach disorders, inflammation, heart disease, various forms of poisoning, and malaria. Blending it with ginger also helps with digestion problems. Ginger is also a spice used within Kapha and Pitta Doshas for balance.